In the digital card game Hearthstone, there’s a common card called Thoughtsteal that is a core part of many Priest decks. For three mana, this card will let you copy two cards from your opponent’s deck and add them to your hand. How... quaint. 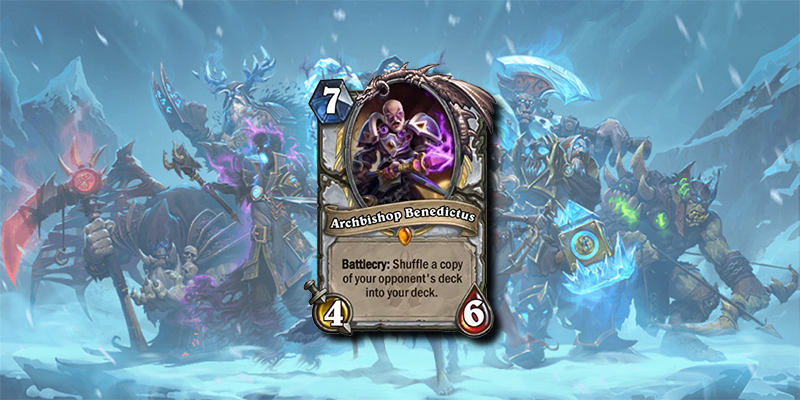 This weekend, Blizzard revealed Archbishop Benedictus (via Phil Kollar), a new seven-mana Priest minion that will steal your opponent’s entire deck. The possibilities are endless. Trying to take down a Control Mage? Now you are the Control Mage. Need to counter a Token Shaman? Now you are the Token Shaman. It’s not clear how viable Benedictus will be in competitive play, but he sure will be fun to watch.